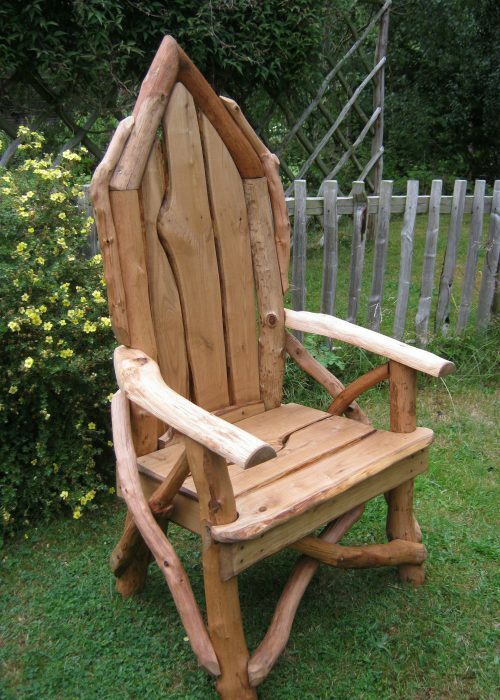 An adaptation of our original No.51 Storyteller’s Chair, this stunning natural lath version creates an eye catching centre piece for any garden. Shown here in a light brown finish, this product is also available in clear. Please Click Here for more information and to see a comparison photograph.